A big step was taken back on Feb. 9th 1870, when President Ulysses S. Grant helped start the National Weather Service. He signed a joint resolution of Congress authorizing the Secretary of War to establish a national weather service. When this started the military had 22 telegraph stations throughout the US and they sent reports to Washington D.C. Before the president took action for start a formal service, there were volunteers that helped to record weather data. Did you know that Thomas Jefferson and George Washington regularly noted their own weather observations on a regular basis? Tropical Depression Funso from space! 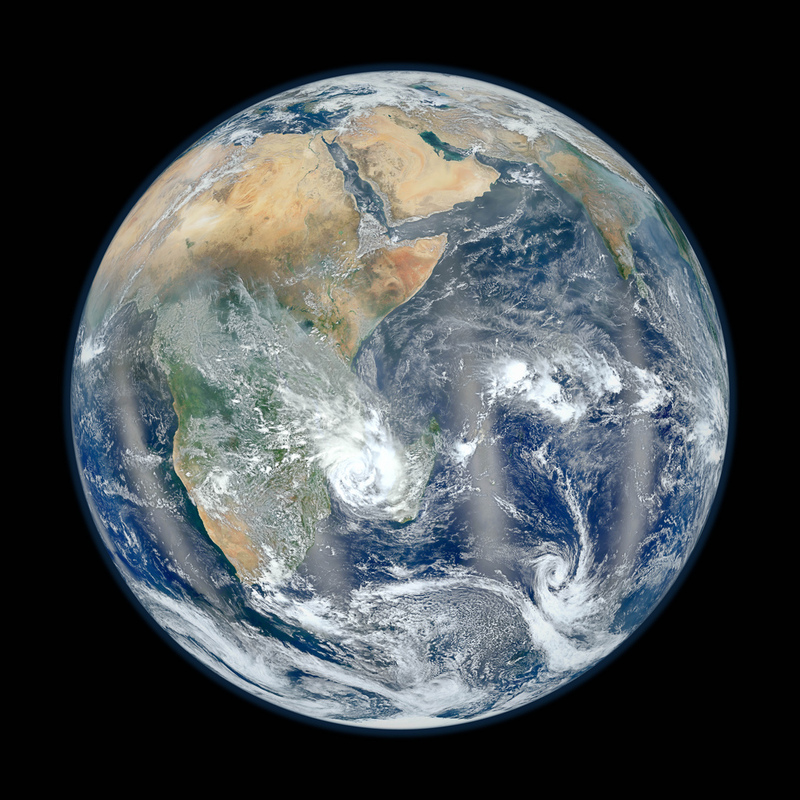 On January 23rd, the NPP captured a breathtaking image using it's on board VIIRS instrument. The NPP in it's unique polar orbit took these images at 7918 miles above the Earth. From earlier posts the VIIRS stands for the Visible Infrared, Radiometer Suite. I wait each month eager to see the next image that is posted on the NASA website from this advanced satellite. Thank you to NASA for providing public information for this project and fantastic images from space. I only saw him on TV and his live feeds when he was on the road chasing storms. I had no idea how young he was when I saw him on the last season of "Storm Chasers"(on Discovery Channel). Andy Gabrielson was a true storm chaser, he died today in a terrible head on crash. The accident occurred when a truck was going the wrong way on an interstate, the crash involved at least four vehicles and both Andy and the drunk driver died in the crash. The Weather Channel repeated a short tribute of him tonight as he was on a TV show there called "Tornado Hunt". Here are a few links to articles about him and a video of some of his work... RIP..